"Eat drink and be merry!" This Epicurean motto could fit no other country better than Turkey . 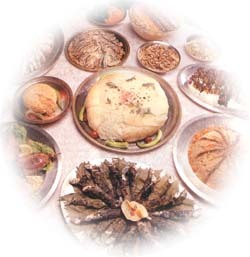 With a kitchen just in between the oriental and the occidental, Turkey has a worldwide reputation for its delicacies like boreks, kebabs, dips,delights, baklava, raki, and so on. Istanbul is the city where you can expand your gourmet expedition beyond limits. Please choose the type of food you feel like having and the area where you wish to dine.